Which kind of boring machine is more affordable _Industry knowledge_Xinxiang Lantu Machinery Co., Ltd. 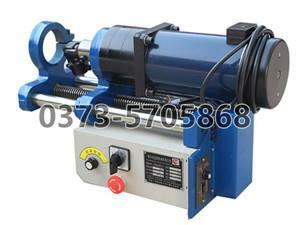 When we choose the boring machine, we still consider the practicality and price more. After all, many industries are purchasing in bulk. If the price is slightly lower, there will be a lot of left. Capital investment, of course, this is a very good choice. However, there are many types of boring machines on the market today, and the price of each brand is different. If you really want to make purchases, you must also compare them in many aspects. So which one is more cost-effective? What about it? (1) Select the appropriate model according to your needs. When we choose the boring machine, we must consider our own needs. The functions of different boring machines will still be different, so we must consider which type of products meet our requirements. Many brands also have their own websites, and some comprehensive websites will provide us with such equipment, so we can first select the right model according to our own needs, and then determine which type of equipment is our first choice. You can compare the quotations of different manufacturers according to the model, so you can also know what the average quotation is. (2) The measurement of the wholesale price of the factory. If we need more boring machines, we can work directly with the manufacturers, so that we can pick different types of equipment, and it can save a lot of money. What is the price of the wholesale factory, we can measure it directly through the network is convenient. We can directly measure the price of each manufacturer, whether there is a certain discount for wholesale. As long as it is able to measure this aspect, it will be easier to wholesale to different types of equipment at reasonable prices. Is it secure to buy light boring machines online?